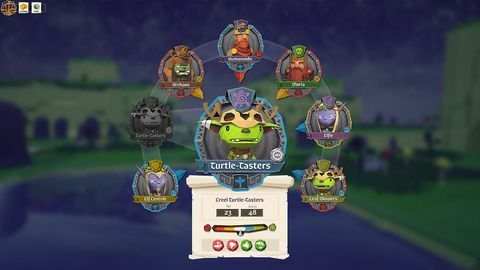 Matt chats with Gustav Seymore about city builder Goblins of Elderstone, seeking funds on Kickstarter right now. Q: Tell us about Goblins of Elderstone. 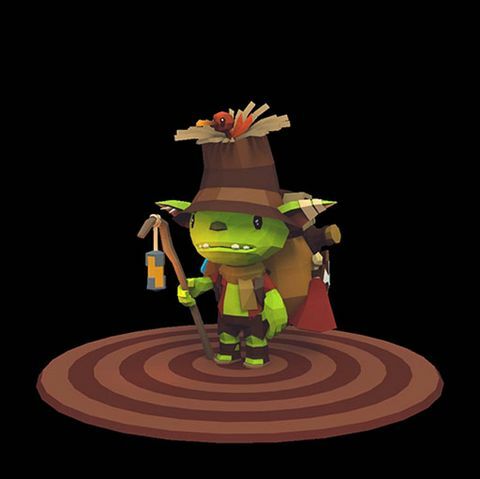 Gustav Seymore: In a nutshell, it's a goblin tribe simulator. A bigger view of that is it's a city building game. You are the Goblin King, and you have to manage multiple clans of goblins eventually – you start off with one and build it up. They're chaotic in nature because that's how goblins are, and you have to see to all their needs – their food, their beer, their happiness in terms of having to go on raids and things. 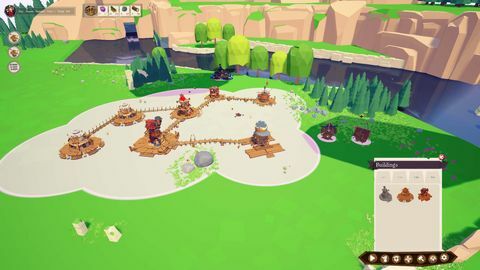 If their needs aren't met, like for example if they are not getting enough food, the clan will start stealing from each other and could end up killing each other. So, there's lots of chaos and you have to manage inside the village as you build it up. But then there's also a strategy layer, where there's a region map and there are other rulers in the world, and it's procedural, so every time you play it can be different. In one playthrough you could have the human or an elven emperor and an orc warlord something on the map. And then as you grow your village and your resource need becomes excessive, you need to raid outlying villages and farms and then eventually start raiding the human city or the orc camp or whatever. There's also dungeon locations you can go and raid. This is all done in a grand strategy kind of way, so it's not an RTS – you don't individually control units – but you form raiding parties and you send them off and get the results. Then we have this thing called story moments. You could send your party out to raid or scout a tile, and on the way a story moment could pop up. For example: a cave has been spotted by the party – what would you like to do? You can either enter the cave, ignore it, or send a scout in. There could be a bear in the cave that eats the whole party, or there could be a treasure hoard. So that sort of system is in there, and those story moments can happen anywhere. Your hero might see the enemy captain across the battlefield: do you risk everything and try to take him or let him go? There's also a diplomacy and trade system where you can become allies with other faction leaders and trade with them, and there's also the same diplomacy system within the clans, so you have a council, the king, the elder, the warlord – they all have different demands on you, so basically quests. So there's lots of layers to this village builder. Q: Sound crazy ambitious. How many are at Lost Goblin? Gustav Seymore: We are… five. Some guys are part time, and recently we had a bunch of people jumping in to help us. Some of them are coming on long term part time, and some are helping us in the short term. But the core team is two developers, myself, an artist, an audio team (HyperDuck) in Ireland, and the writer is Edwin McRae. He wrote Path of Exile and Bloodgate, so obviously we built a good working relationship. The core team is four people, but there's lots of people helping us. Q: It seems to be getting more and more common for NZ studios to be outsourcing work. Is that a new thing? Gustav Seymore: Honestly, I don't have that much experience with outsourcing, because the studios I've been with it was mostly internal. I can totally understand it though, especially for an indie. Development in New Zealand is quite expensive, so some things work out pretty well with outsourcing. With us, however, the reason we used HyperDuck isn't specifically because we were looking to outsource it out of the country. They were in our list of top audio teams we wanted to work with. I love their work – they're really awesome – and they were competitively price against American studios and stuff as well. They're doing a fantastic job, they totally get it, they're into the world and theme, and we're getting amazing work out of them. You get approached by audio teams more than any other outsourcing team – they're really good at promoting themselves. We got dozens and dozens of requests when we started posting about this game. Q: City builders tend to have steep learning curves. How are you tackling that? Gustav Seymore: It's a fair question – I play really hard ones as well. RimWorld I've been following for two or three years now – love that game – and it didn't used to have a tutorial or anything, you just had to figure stuff out. I think yes [Goblins of Elderstone] has a steep learning curve, but by its nature the game itself unfolds slowly. You start off with a handful of goblins and a wagon of goods, and you place it on the map. We instruct you through a bit of a tutorial – build the grand hall first, then build storage. I think a city builder looks really intimidating when it's mid-game or end game, but when you start it from the beginning, you learn as the features unlock. So, I think that kinda helps it. I've learned a lot from the studios I've worked at regarding accessibility, and being accessible to a bigger audience. 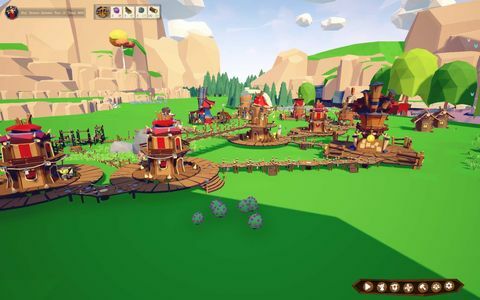 For example, we get a lot of female fans or women gamers who really like to the look and appeal of our game and really wanna give it a go, even though they might not necessarily be city builder gamers. I think our look and our art style makes it very inviting for new players, so we're aware of that. We'll hopefully get a lot of people playing city builders for the first time with our game, and we do lead you through it. At one of the game dev meet-ups we had a six-year-old girl wanting to try it, and I was worried that she might struggle with it. But she was great: she totally got it, and played through the whole demo without me needing to tell her anything. So, I think it's intuitive. Q: How far along is the game at the moment? Gustav Seymore: We are honestly about halfway. We plan on releasing quite early – like an alpha type situation on itch.io, which is doing a thing called The Refinery First Access which is becoming quite popular. Another game, Overland, I'm looking at as a really good new approach to the market for indies, because Early Access on Steam has really become your launch in many ways for a lot of games. So now people are going to this other platform to do what Early Access was supposed to be for: building a community, getting feedback, and refining the game until you're ready to launch bigger. 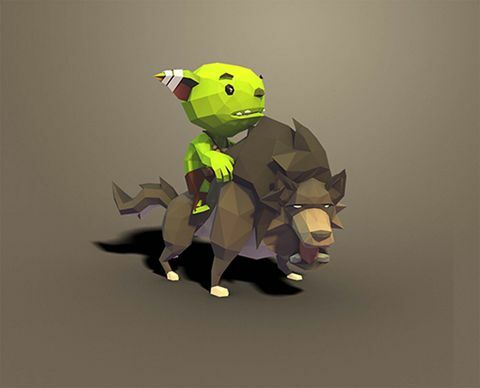 So the idea is to launch on itch first after the Kickstarter campaign – a few months later. Obviously, we want to get it to the backers, and at certain tiers they have access to the alpha build. We'll have a forum up and people can give us feedback: tell us what they like and what they struggle with, and we can refine it and make it really really good before we hit Steam with Early Access. Gustav Seymore: There's the fact that making games is really expensive. 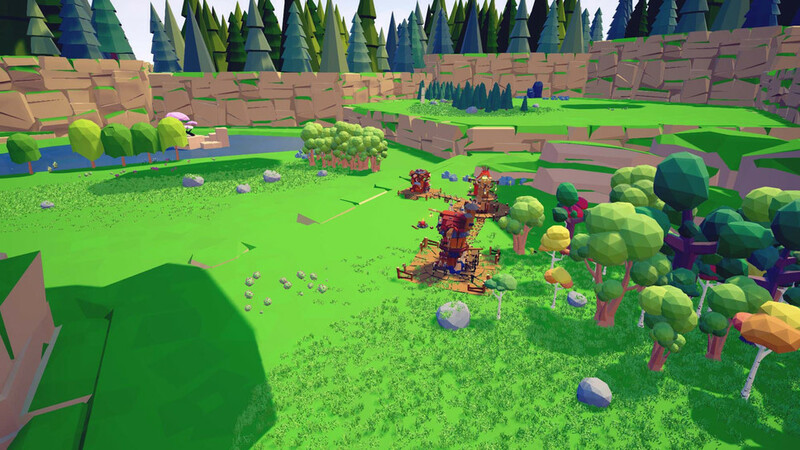 We had some initial funding which got us to this point, and we were working full-time on it for quite a while, so we made heaps of progress and we got the game to its current standard. But now a lot of us are working again part-time in the industry. One of our developers is full-time still and our artist is working mostly full-time, but that's changing as well. So we're just in a situation where we need the funding to keep guys working full-time and not being distracted with financial concerns of having to look for a job. 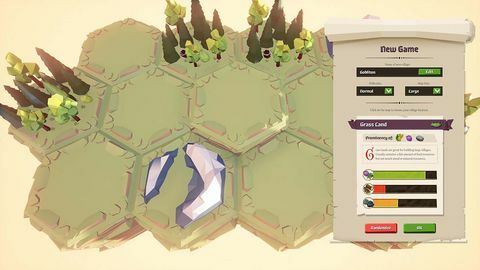 We want to keep at least our developers working full-time, and we also need to overhaul our UI, because at the moment it's very placeholder and needs a lot of work. So that's one reason, and if it succeeds we can do that and deliver on getting it out on time and improving the quality. But then there's also the community building aspect, which is equally important and like I was saying, we do wanna get it to people and get feedback so we can focus our efforts. I think that's one of the things that makes Stonehearth really great and RimWorld really great is they've been out for a long time in an alpha kind of state, and people have helped bring them to where they are. It's a great model for this kind of game. I don't think it works for every game – I think some games have to be made and released and there it is – but in many ways a simulation game has a blue sky in terms of features, you can continue taking it on and on in several directions. We have a very strong vision for it, but getting input and feedback and building on top of that would be the best thing. There's very few games that launch on Early Access and then have a big launch again going gold. Darkest Dungeon is often touted as the best Early Access game to date, and they did a fantastic job. But when they finally finished and launched, they definitely didn't get the same amount of attention which is unfortunate, and we've learnt from that. Most consumers don't see Early Access as a beta – it's a launch. So we wanna make sure we are good to launch. Q: So you're aiming to launch on Early Access mid-next year? Gustav Seymore: Yes. I don't wanna give actual deadline dates, because No Man's Sky and all that. We wanna make as good game. But the middle of next year – end of June/start of July – would be perfect. That's what we're working towards, and it's realistic. But one thing is: if the Kickstarter fails, it'll be hard to maintain those dates. Q: Are you aiming to have mod support? Gustav Seymore: One of our stretch goals is mod support. I know how important that is. RimWorld has some excellent mods. City: Skylines has some really great mods. I know how important it is for city builders, and it's the kind of thing I enjoy as well. But it's an expensive endeavour – you have to build a lot of back-end stuff for it. We are using Unreal and there's things there… Ark is in Unreal and did a really great job with modding, but because it's not our own engine there's stuff we're gonna have to build and it's expensive. Q: Was multiplayer ever a consideration? Gustav Seymore: From the beginning that was well outside of the scope of what we're making. It's not the kind of game that… city builders are generally single player experiences. I know Anno had multiplayer, but I never even played it. I'd be interested to see statistics, but I imagine a very small percentage of people played it. These games are the kind of thing where you sit down, start a new village, and play anywhere between five and 20 hours on a thing until it falls into disaster and ruin, or you win. And then you do it again. It's the kind of thing you play at your own pace.